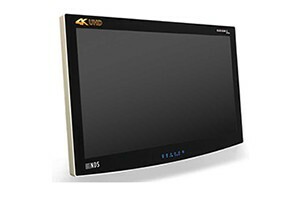 Synergy Medical, Inc. carries a wide variety of 4K/UHD surgical monitors from trusted brands to suit all of your operating room needs. We work with our vendors and the healthcare community to to provide the best medical equipment and supplies of the highest quality, value, and customer support. Business and commercial environments have been utilizing 4K resolution monitors and TVs. With the breakthroughs in new technology, 4K monitors and cameras are now becoming common place in the medical environments. 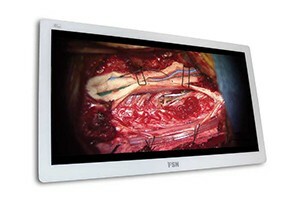 4K surgical monitors can control medical visual content with pinpoint accuracy, fine-tune surgical color and layout settings to individual preferences for a wide range of clinical and surgical applications. What is 4K Ultra-HD and how does it compare to HD? 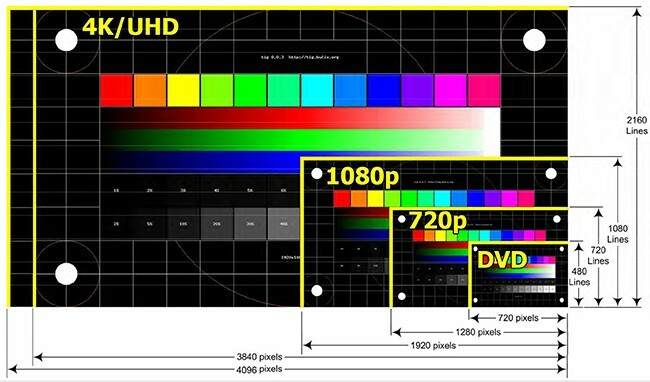 4K UHD refers to the horizontal resolution or numbers of pixels that make up the image. Contact Us today to find the 4K monitor that’s right for you! We offer special pricing & volume discounts for Government, GPO, Health System, & Healthcare Facilities. 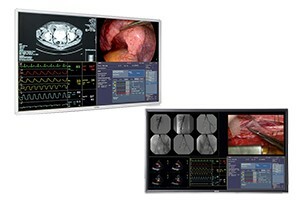 Barco has expanded their range of 4K, high-brightness and high-resolution displays to offer healthcare professionals a premium imaging experience in the Operating Room. Barco surgical monitors provide state-of-the-art image quality, wide color gamut and visual accuracy. 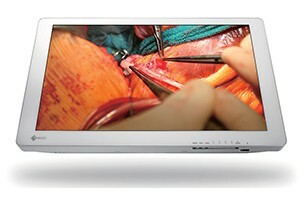 The new 4K displays (MDSC-8231, MDSC-8255) now allow image mirroring and rotation to present images per the surgeon’s perspective. Screen cloning on DVI out is also possible, with resolution downscaled from 4K to FHD for easy recording. All displays will be available in a Nexxis-integrated version. The CuratOR EX3140 is a 31.1-inch 4K UHD surgical monitor ideal for endoscopic images and operating microscopes. It has a sleek, rounded design with a fully flat protective glass on the front to make sterilization safe and easy, and is able to display vivid colors in HDR. The EX3140 has a resolution of 3840 x 2160 pixels, which is four times the size of a full HD monitor. 4K UHD endoscope and microscope images can be reproduced in high definition. Easily see fine details that are otherwise difficult to distinguish on full HD monitors. FSN Medical brings cutting-edge technology to medical visualization applications. Surgeons can now see live video images with incredible 4K resolution in the surgical suite. FSN monitors are ready, out of the box, for the advanced digital operating room. High-Brightness LED Backlight (650 cd/m2), enhanced visualization with Wide Color Gamut (140% of BT.709) and exceeds full-HD displays True UHD (16:9) aspect ratio to match endoscopic camera output formats. The NDS Radiance Ultra product line offers a 10-year scratch and impact resistant Glass Guarantee. The easy to clean, edge-to-edge protective glass is IPX6 rated.